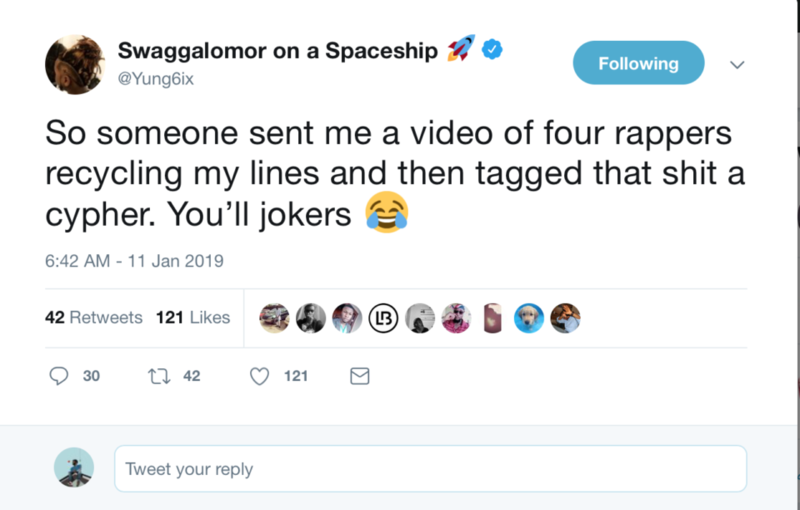 Barely 24hours since the release of the L.A.M.B Cypher 2019 that instantly went viral amongst Hip Hop enthusiast, ace rapper – Yung6ix had a few words for the quartet on the cypher. 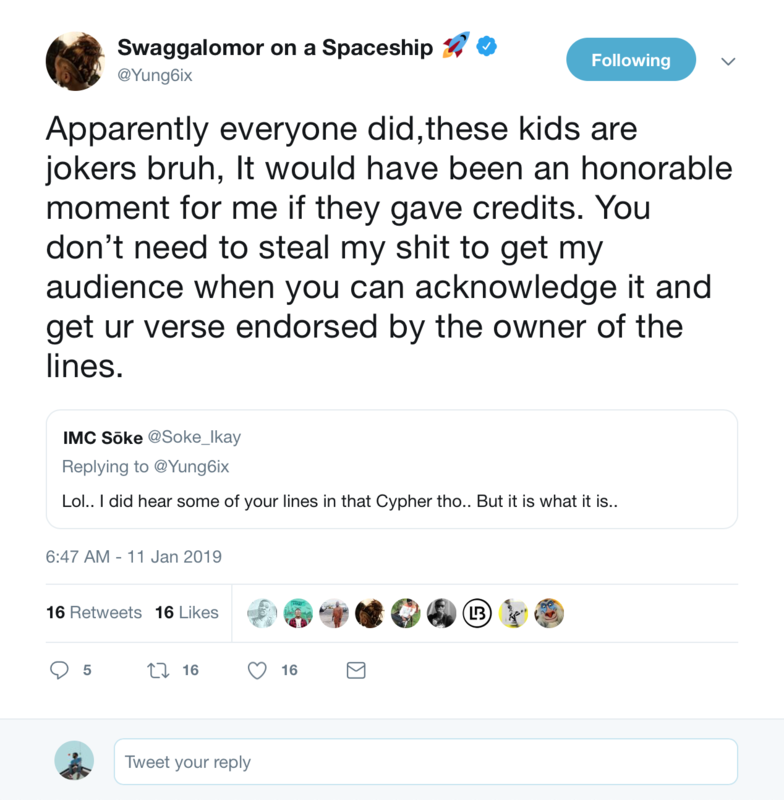 According to him some of his bars were jacked and recycled for the cypher. He did not mention which rapper jacked his lines though. Below are the tweets. Yung6ix Accepts Nigeria’s Rap ‘GOAT’ Credit – Is He Really The GOAT?